Ringo joined the Practice in 2010. 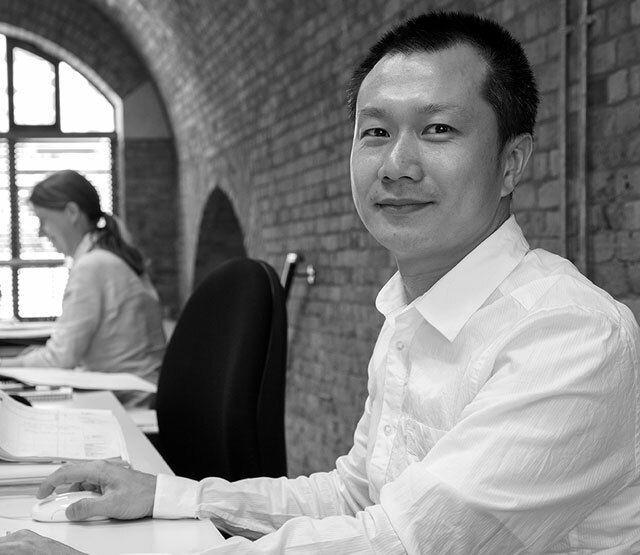 Since joining the Practice he has drawn on his experience of detailing high-rise residential schemes in Hong Kong to benefit the technical phases of various developments in London. At Equinox in Poplar and Plot M0101 in Greenwhich Peninsular, he was responsible for preparing tender and drawing packages for the various typologies within the 117 home scheme. At Turnberry Quay in Canary Wharf, a high quality residential scheme providing 89 new homes, he was the Project Architect managing the detailed design from tender stage through to completion. At Project Light in Canada Water, he was the Project Architect responsible for construction design of 234 luxurious PRS homes and a large commercial mega store together with basement car parking. His attention to detail and knowledge of construction technology is key to the delivery of a large number of mixed-use developments within the office.